Katherine Noel Brosnahan was born on the 24th December 1962 in Kansas City, Missouri, USA and as Kate Spade is widely known as a fashion designer and co-founder of the fashion brand Kate Spade New York. Have you ever wondered how rich Kate Spade is? According to sources, it is estimated that the total amount of Kate Spade’s wealth as of early 2016, is $200 million, which has been accumulated mostly through her involvement in the fashion industry. Kate was raised in her home town, and after finishing St. Teresa’s Academy, an all-girl Catholic high school, she enrolled at the University of Kansas. However, she transferred to Arizona State University from which she graduated in 1985 with a Bachelor of Science degree in journalism. Kate then worked in a motorcycle bar for a year, when she started working in the accessories and art department of Mademoiselle, the women’s fashion magazine, in Manhattan. She noticed that the fashion market lacked stylish handbags, and in 1991 she decided to resign her job and begin her fashion designer career which later brought her an impressive amount of money. In 1993, Kate Spade alongside her future husband Andy Spade as a partner, founded her own fashion company – Kate Spade Handbags, initially focusing on the line of handbags. Business expanded rapidly, and soon Kate Spade New York was designing and producing clothing and jewelry, as well as shoes, cosmetics and stationery. In 1996, Kate Spade’s first boutique was opened, in Manhattan, and soon the company expanded to include several retail outlets, and to selling products through high-fashion store chains such as Bloomingdale’s and Saks Fifth Avenue. It is certain that these ventures were the main source of Kate Spade’s overall net worth. Kate Spade sold her brand to Neiman Marcus Group in 1999, but remained active within it, and in 2004 Kate Spade at Home was launched, a home collection brand featuring wallpapers, bath items and bed linen. In the same year, Kate published three books, “Manners”, “Occasions” and “Style”, publically acknowledging her philosophy and personal style, and so adding to her net worth. Kate Spade New York currently counts more than 140 retail shops in the USA, and over 175 shops all over the world, constantly increasing Kate’s net worth. 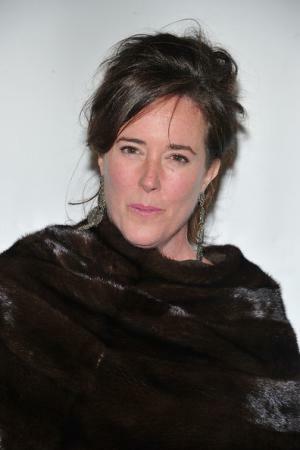 Throughout her vivid career as a designer, Kate Spade has won various awards for her classic designs, among which are Best Accessory Designer of the Year in 1998 from the Council of Fashion Designers of America, Giants of Design Award for Tastemaker, and Elle Decor International Design Award for Bedding. Proven success in business lead the Spade family to invest in Plum TV, a small television network focused on broadcasting in the elite vacation resorts such as Martha’s Vineyard, Hamptons and Nantucket – to date there are no figures available regarding this investment. When it comes to her personal life, Kate Spade has been married since 1995 to Andy Spade, an architect and her college classmate. Apart from being Kate’s partner in her fashion business, Andy is also a brother of actor and comedian David Spade. There were some rumors about a possible divorce between Kate and Andy, but the couple denied those stories, and in 2005 they welcomed their first child, a daughter. 3 Sister-in-law of actor/comedian David Spade. 4 Gave birth to her first child, daughter Frances Beatrix Spade, on February 18, 2005.